Here in Australia pumpkin isn’t treated like a dessert ingredient. We enjoy our pumpkin roasted with lamb, chopped up in a frittata, and my favourite; pumpkin soup. I’m sure many of us have fond memories of mum’s meat and three veg complete with watery mashed pumpkin. Enter the Internet. The Internet makes the world smaller. Strange things that we read about as children in ‘Baby-sitters Club books’ are now readily accessible. We now know what a pumpkin pie and s’mores are without the need to travel to American shores. 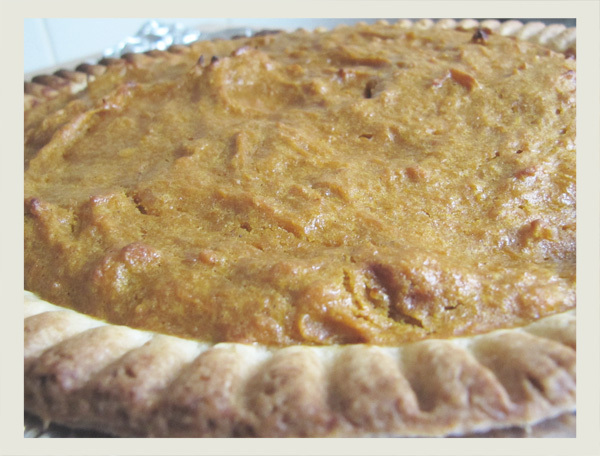 A few years back I made my first pumpkin pie. A local store called USA Foods stocks Libby’s pumpkin and I eagerly snatched some up to see what this pumpkin pie business was all about. I and the majority of people who tried the pie thought it was pretty delicious and I’m made several since. The success of the pumpkin pie has increased my interest in pumpkin desserts and this time of year appears to be when America goes crazy for them. My pinterest is fast accumulating a list of delicious looking cheesecakes, slices and cakes. I just happened to have a pumpkin in the fridge which was in desperate need of cooking so yesterday I made pumpkin puree. The taste? Delicious! Just like pumpkin pie. 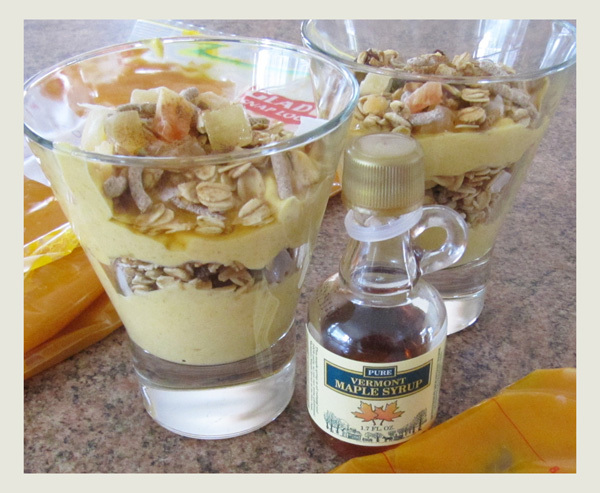 You can find the recipe for these delicious parfaits here on Monica’s blog, The Yummy Life. Thanks Monica! I’ll be sure to try out more of your tasty looking recipes over the coming weeks starting with the Slow cooker maple pumpkin spiced lattes because pumpkin in coffee? I know I’m not the only one fascinated by this concept!